this night is fermenting in the veins of God. A quote taken from ‘La Nuit de Mai’ by a French Poet Alfred De Musset. Clarke places this quote on the first page of the sonata score. This Sonata is written in Three movements: Impetuoso, Vivace and Adagio. The opening of the 1st movement is almost fanfare like, the viola grabbing the audience’s attention before moving to a more melodic cadenza like section. Clarke utilises chromatic movement and modal ideas throughout the sonata. The 2nd movement is much shorter than the other two, here Clarke gives the viola the chance to experiment with new techniques: Pizzicato and harmonics. I feel the Piano part has a more prominent role in this movement. In the opening of the 3rd movement the Piano enjoys a cadenza like moment, playing around with rising and falling motifs. The viola joins with a lush melodic line, which is again experimented on until eventually settling and played in unison with the piano. The final movement continues on with lush writing- later on Clarke brings back the opening fanfare idea. Eleanor is thirteen years old and is working on her DipABRSMs on recorders, bassoon and contrabassoon, having gained distinctions at grade 8 on all of them. She has been fortunate to play in many county and national orchestras such as Berkshire Youth Symphony Orchestra, the National Schools Symphony Orchestra and the National Children’s Orchestra. 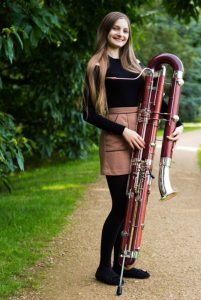 She has played successfully in many competitions and concerts, most recently winning the Bournemouth Symphony Orchestra Young Musician of the Year 2017 competition. 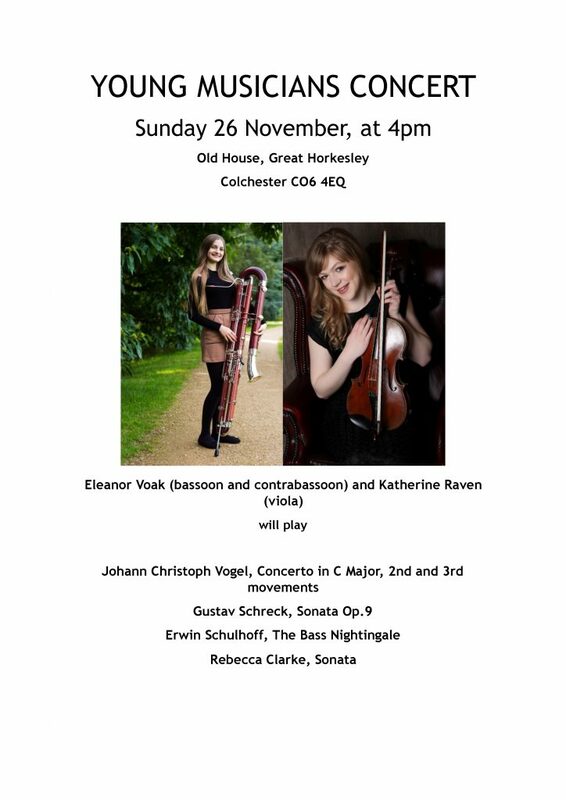 She loves sharing her music and is particularly pleased to be able to integrate a contrabassoon solo into this recital since this instrument is rarely heard on its own. Katherine began playing the violin age 7 and went on to attend Yorkshire Young Musicians in Leeds where she also studied the piano. At the age of 16 whilst on a Pro-corda summer course Katherine was given the opportunity to play the viola, this inspired her to convert to viola as first study. Katherine then went on to study viola with Lucy Nolan at Yorkshire Young Musicians. Katherine was a member of the City of Leeds Youth Orchestra for 2 years and in the second year was principal viola. She was also a member of the National Youth Orchestra of Great Britain for 2years, and had the privilege of performing at the Royal Albert Hall as part of the BBC Proms. 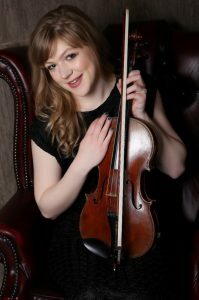 Katherine is 23 years old and is currently studying viola at the Royal College of Music in London with Jonathan Barritt. As part of her studies Katherine recently completed a term abroad in Copenhagen at the Royal Danish Academy of Music studying with Lars Tomter. After graduation Katherine hopes to peruse a free-lance career as an instrumental teacher and orchestral player.